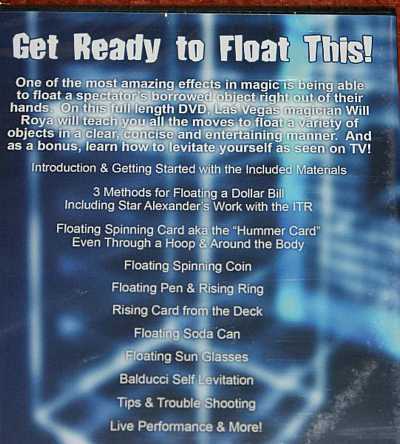 Here's a pretty good DVD on using invisble thread to make various items float or move mysteriously. See the picture for a list all the effects. It even comes with some thread to get you started. And a bonus explanation of the Balducci levitation which lauched David Blaine's fame after he did it on his first special. (No thread needed for the Balducci!). This DVD usually sells for about $15, so I have set my price a bit lower than that.